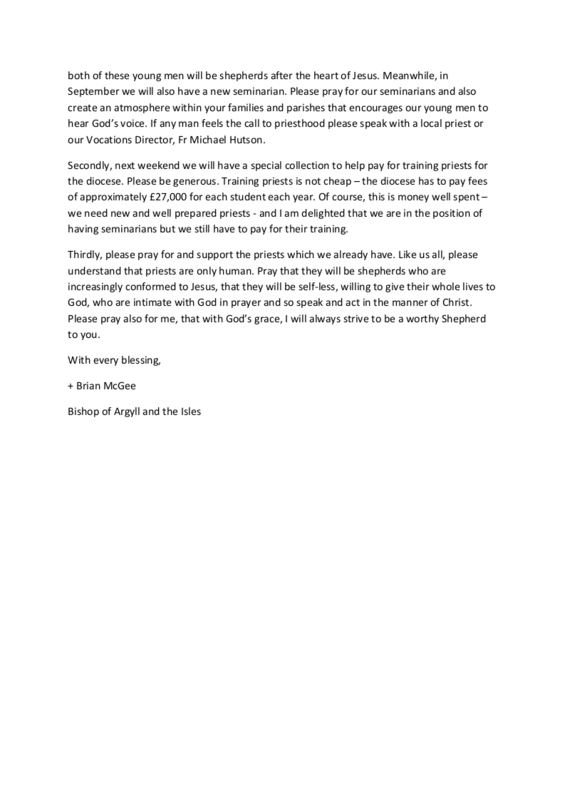 Mass Times: Sunday 11am and 5pm (Harris), Monday 10am, Tuesday 10am, Wednesday 12:30, Thursday 10am, Friday 12:30, Saturday 12 noon and 6pm Vigil. 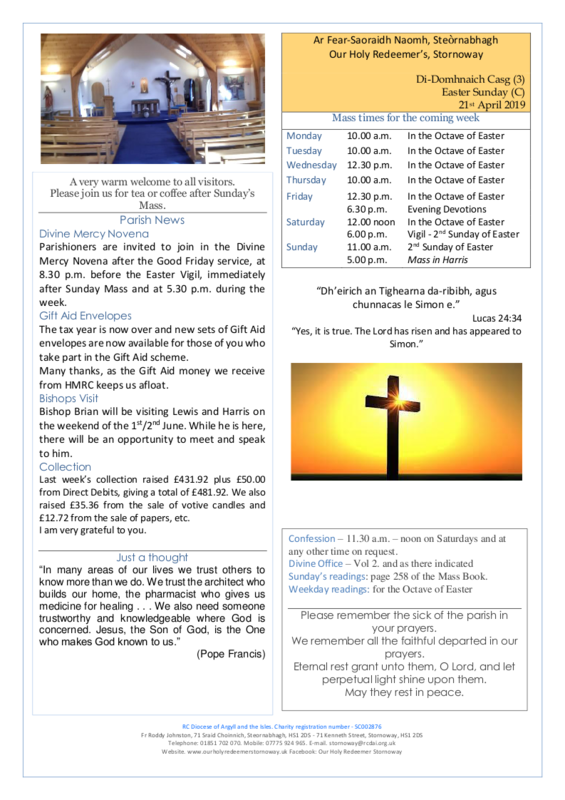 Weekday mass times are subject to change, please check the up to date newsletter. 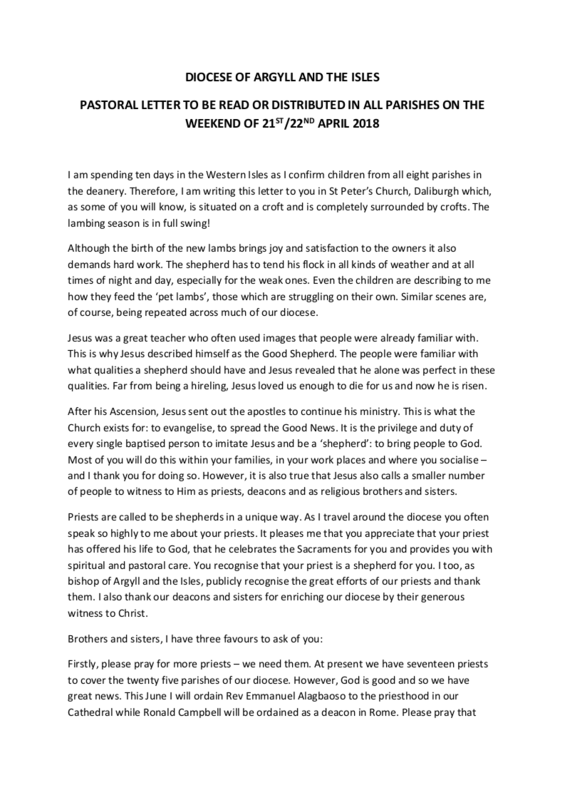 on 1st April 2007, Palm Sunday. solemnly consecrated by Bishop Ian Murray. Stornoway - the capital of The Isle of Lewis. 1905 but was burnt down in 1918. The current building was completed in 1929.